The lessons are completely free and the to-do app code is available for download from GitHub. These lessons are a new format for us and we’re very excited to bring them to you. We’re always looking for new ways to help developers learn things and improve the daily workflow. If you have an idea, let us know. We’ll be expanding the Playground in the coming months and we’d love to hear from developers like you. Now let’s take a look at a lesson from the new Debugger Playground. 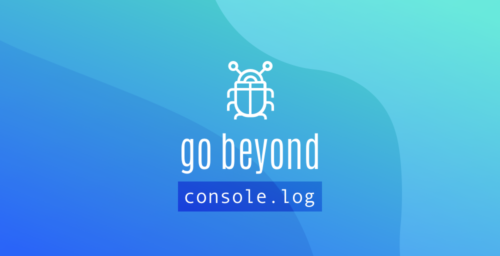 Ever use console.log to find the value of a variable? There’s an easier and more accurate way to do this with the Debugger. Let’s take a look at a simple to-do app. Open the to-do app in new tab. This app has a function called addTodo which will take the value of the input form, create an object, and then push that object onto an array of tasks. Let’s test it out by adding a new task. You’d expect to have this new task added to the list, but instead you see “[object HTMLInputElement]”. Let us know what you’d like to see next. We’re working on new lessons about the latest web technologies and we’d love to hear from you. Post in the comments below. Thanks Les! We’ll get it fixed right away. All these browser developer tools are becoming increasingly in-depth & advanced, but they are really useless without clear instructions on how to use them properly. So, thank you Dustin (and your Mozilla team) for taking the time & effort to put these helpful articles & videos together for everyone. Glad to see a gentle intro to the debugger, great idea, thank you Dustin. There is no authorship indicated on the Playground Debugger articles. To whom should questions and comments be addressed? For example, on the “Introduction” page, the “format minified code” hot tip does not appear to work, and I wanted to provide feedback. Hi Richard, thanks! You can submit a bug via Git with your feedback for the minified code hot tip. Which breaks the linting . We’re working in Github and would love some specific bugs if you can find reproducible cases. In the general case, I think you’ll find Firefox 58 to be more stable and are working hard to pin down some of the other issues as well. Also, always happy to jump on a google hangout and see some of the issues your running into.